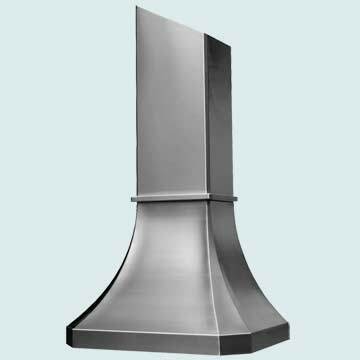 Handcrafted Metal makes stainless steel French Sweep range hoods that are customized to accommodate your kitchen and your taste. With us you can customize every dimension and feature, such as hammering, color tone, and lighting. 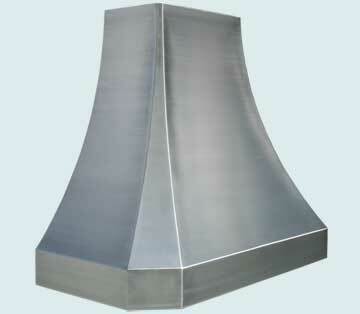 To further customize your stainless steel range hood you can also choose from additional features, such as elegant bottom bands, hand-wrought straps, clavos, and rivets. Personalized features like these are guaranteed to please. 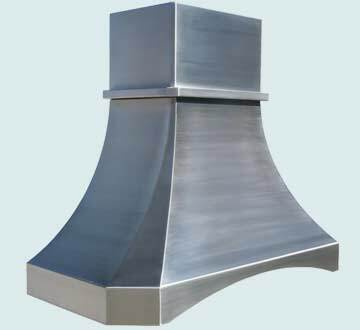 Our stainless steel range hoods are made with 14 gauge stainless steel, which is 25% thicker than 16 gauge, so they are very durable. 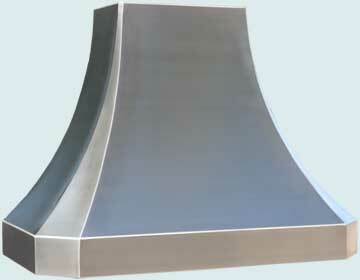 We will work with you to make a superior stainless steel hood that looks splendid in your kitchen. 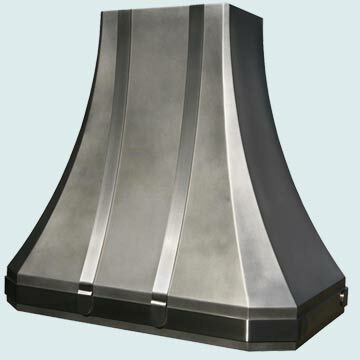 Click on any French Sweep hood below to see more pictures, and customize it according to your specifications! 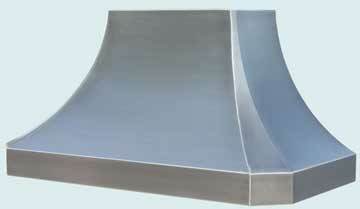 This French Sweep hood has riveted steel strapping on the lower band. In addition, the top of the hood is angled towards the back. The body is made from 14 gauge stainless and has our Micrograin finish. 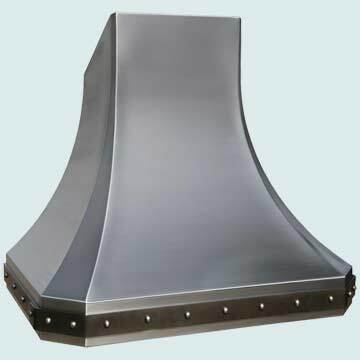 The lower band and stack of this French Sweep hood are both Integrated to the body. It's made from 16 gauge stainless and has our stainless Grain finish. We accentuated the curves of this French Sweep hood by adding length to the bottom. 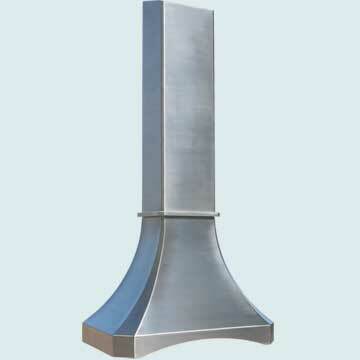 It's made from 16 gauge stainless and has our stainless Grain finish. This smooth French Sweep island hood is a subtle addition to any kitchen. It was built with an Integral lower band to give it a clean appearance. 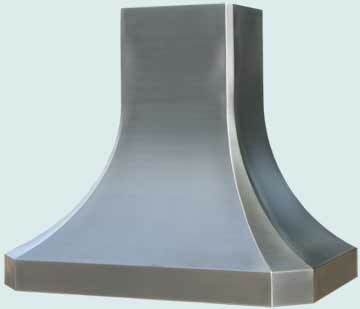 It's made from 16 gauge stainless and has our stainless Grain finish. 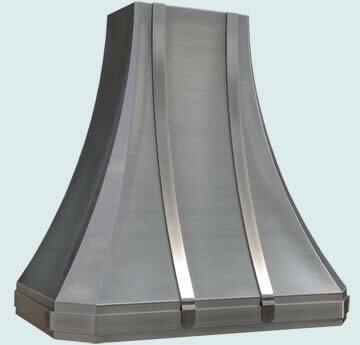 This impressive French Sweep hood features an extra tall Integrated band. 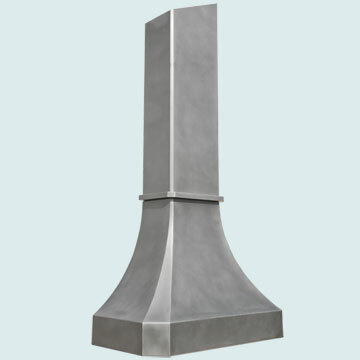 In addition, the tall stack has an angled top to touch the angled ceiling. 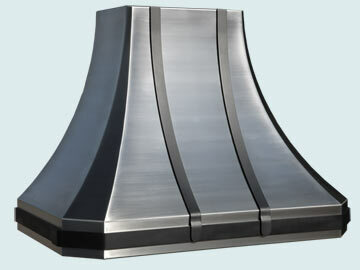 The molding is an elegant touch that defines the hood at the bottom and the stack above. It's all made from 16 gauge stainless and has our Matte finish.